Are you ready for Universal Monsters!? Diamond Select is! Starting in late September fans will have a number of options for picking up some of their favorite Universal characters in plastic form thanks to the guys over at Diamond Select. As usual you will be able to find these at your local toy and specialty stores, or you can save yourself the gas and just order them here. New Evil Dead 2 German release promises an extended cut! The German company Kinowelt along with Studiocanal will be releasing an Evil Dead 2 mediabook in celebration of the film's 25th anniversary. While the discs will be locked to region B the contents on each will be English friendly. Good news for American fans who'd like to see an alternative cut of the cult classic. Not too many details have surfaced about the cut or quality of the print, but a whopping 2.5 minutes of additional footage will be included. Joking aside, that might not seem like much but there is a chance some different takes were also utilised. 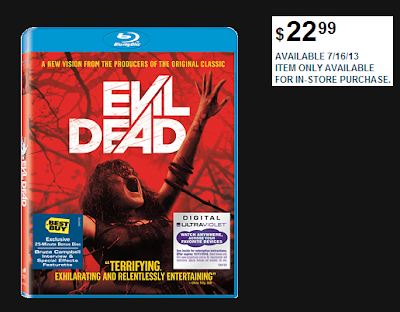 Plus this is Evil Dead 2 we're talking about here! 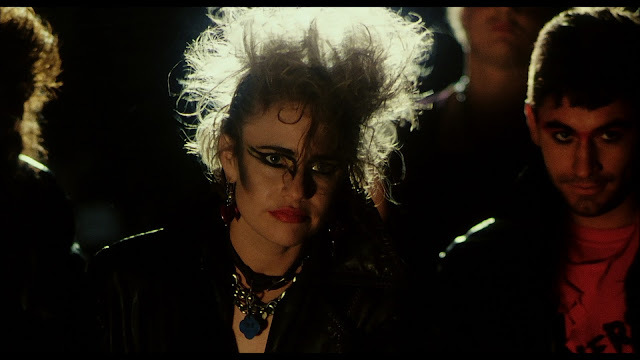 Heralded as one of the best horror flick's the eighties has to offer! 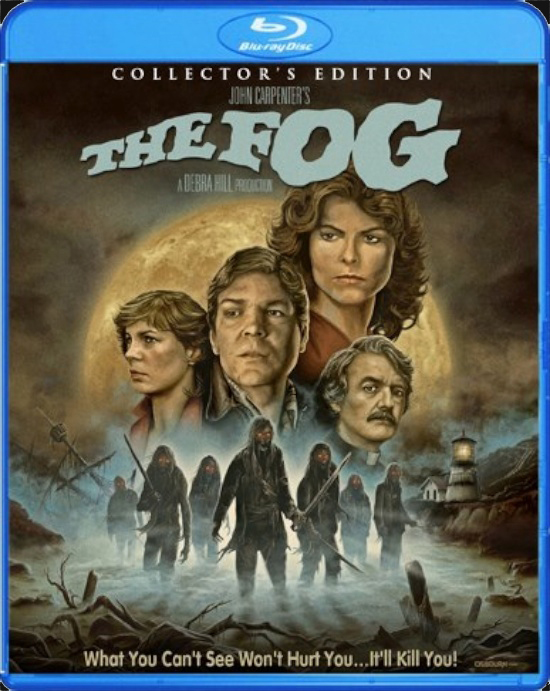 I've owned this film multiple times on VHS, DVD, and Blu-ray...Call me a sucker but I'll totally throw down cash on an extended cut no matter how miniscule, the awesome packaging is just a bonus! Known bootlegs have been pieced together by fans using various takes and deleted scenes, infact a number of these can be found on youtube. It's likely safe to assume that the company has found a wealth of similar material and are hard at work cleaning it up for this release. In 2006 director Richard Raaphorst captivated horror fans with a short trailer for a film titled "Worst Case Scenario." Things didn't pan out so the director set his sights on a new film. 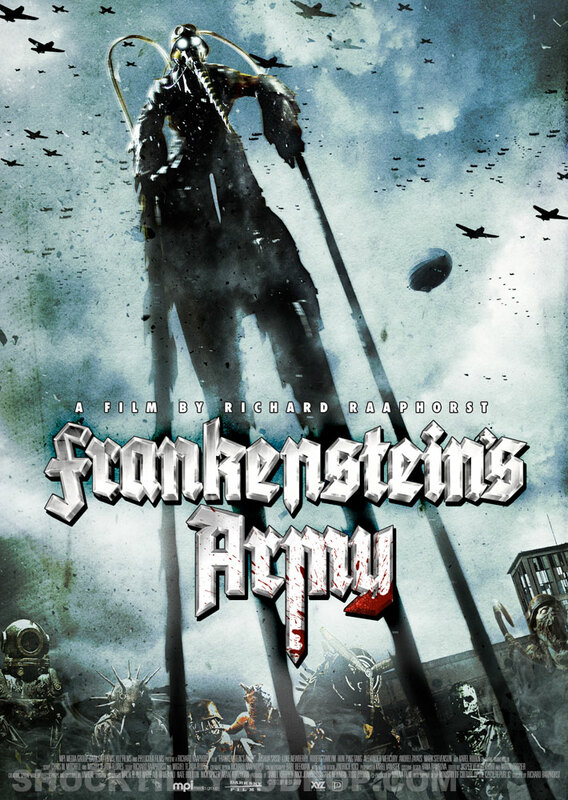 Now seven years later Raaphorst has completed that vision in Frankenstein's Army. With that many years between projects coupled with fan anticipation there's a lot to lose. That anticipation can be a filmmaker's worst enemy. The visuals in WCS were definitely striking, mutated nazi-zombies doing a death march on a beach...Not something you see everyday. Could Raaphorst successfully recapture the feel of the short popular trailer while also expanding on it? The short answer is "yes." The 2013 film is shot in the found footage/cinema verite style. The choice to go this route is certainly questionable considering the film's setting. Found footage makes perfect sense in a post-youtube world where people document everything from bowel movements to dentist visits. But in a 1930's/1940's Germany? Weird. In the film a group of Russian soldiers are traveling through Germany attempting to find some of their imprisoned comrades. They decided to bring along a camera man who will document their search in this war torn part of the world. Things are amiss though and they encounter a few very strange creations. Humans have been taken apart and pieced back together, fused with various pieces of machinery meant only to cause harm to those they encounter. 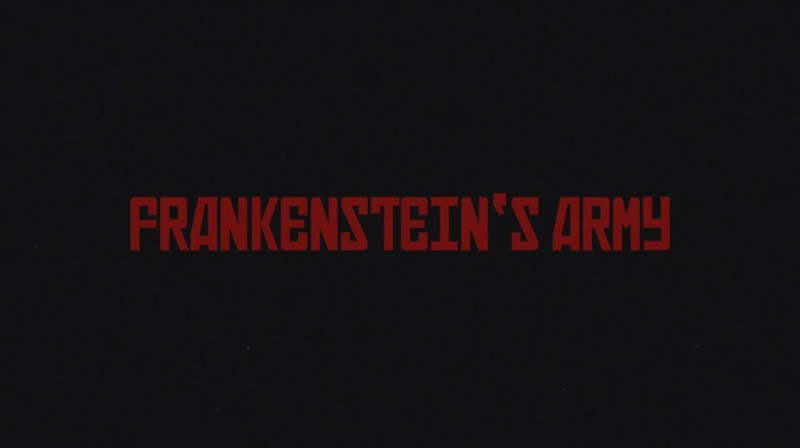 The creatures, compliments of one Victor Frankenstein, are just the beginning of the terror getting ready to unfold before them as their search leads them deeper into Frankenstein's territory. Punk Vacation is one of those strange flicks that will leave you scratching your head tirelessly wondering about it's production. It doesn't quite have a cult following, though it certainly has all the makings of a midnight movie. 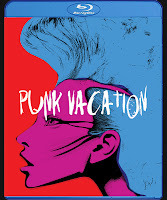 A group of outcast punkers move into a quaint part of California country and disrupt everything. Their wild night leaves the elderly owner of a convenience store dead, one daughter traumatised, and the eldest out for bloody revenge. Local law enforcement insist on handling things but Lisa (Sandra Bogan) decides to go after the ratty group. 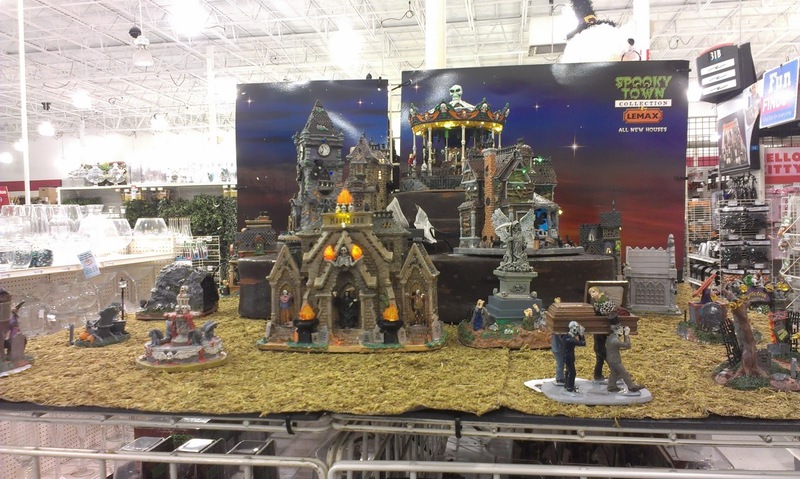 Michaels is generally the first store to get a majority of their Halloween selection set up. I couldn't wait to get down there and checkout their Spooky Town display, it's became a July Tradition. Generally it's too hot here in Oklahoma during July to truly get into the Halloween spirit, though as luck would have it today it's been overcast and windy. August is a little over a week away meaning Summer's end is fast approaching. 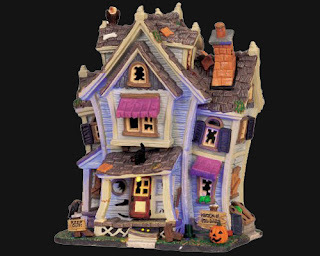 Once the hottest month in Oklahoma hits Halloween items slowly start to make their way into stores like Party Galaxy, Michaels, and Walmart. Weirdos like myself also begin preparing their Halloween displays. 2013 marks the first year I'm living in my own house and for the past few months I've been scouring garage sales and flea markets trying to find deals on old props and decorations. 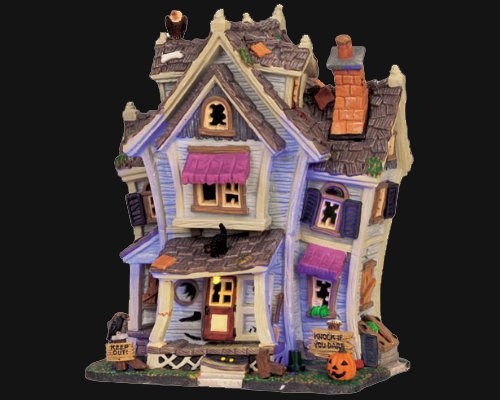 The idea is to create something grandiose on a budget, and while this year might be on the tiny side I'd like to slowly build and add on year after year until I've amassed enough items to make the Haunted Mansion look like child's play. 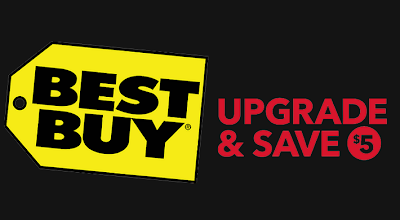 Best Buy's annual "Upgrade and Save" promotion has a few weeks left. I know some tend to avoid the store as the chain has been known to have less than qualified employees, however if you're like me and you've got a stack of unwanted DVD's collecting dust then it's high time you made your way to the place. If you've never participated before it's quite painless. Just make your way to the dreaded customer service desk and handover an old DVD. 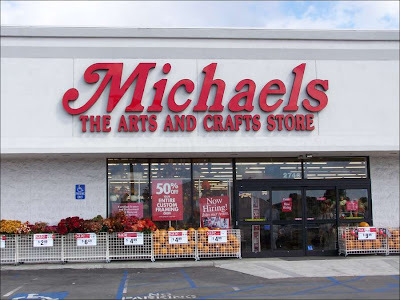 They in turn give you a coupon for five dollars off your next blu-ray purchase. There are a few stipulations such as no stacking or combining coupons and the blu-ray must be priced at $9.99 or higher. Other than that it's a pretty simple transaction. Hammer Studios is a British company that was founded in 1935. The company found success throughout the years but wouldn't really find it's niche until the mid 50's when a number of horror films were created under the Hammer banner. Among the films stories featuring Dracula, Frankenstein, and The Mummy were the most successful eventually spiraling off and creating a number of different sequels, this trend would continue onward throughout the 60's. When the early 70's hit things had changed, their once popular brand of horror wasn't raking in the same amount of cash, and by the mid 80's the company had truly fizzled out. 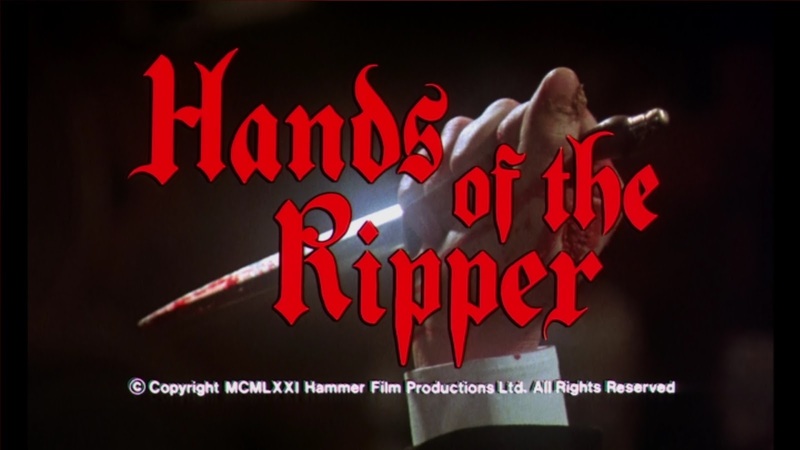 Hands of the Ripper is regarded as one of the best pictures Hammer had to offer during that last wave of films. It's as unique as it is violent and for the first time Synapse has given eager horror fans a chance to view it completely uncut with a newly restored high definition transfer. When it comes to horror's various subgenres most of us are pretty well versed with Zombies, Vampires, Ghosts, and Wolfmen. However there is one subgenre not often referenced, one tailor-made for the depraved. These films feature people rapidly decomposing into piles of sludge and on occasion there might be a few bodily explosions. Yes I am referring to the Meltdown subgenre. The films aren't frequent, but when a good one manages to surface it's generally heralded by the community. It's currently the middle of July which means San Diego Comic Con is in full effect! There's still a few days left and already a ton of news and images have made their way around the interwebs. As much as I'd love to go to one particular site and get the horror-only scoop, most websites tend to only offer full coverage. I've decided to make it easier on my fellow fiends and gather some of the horror-highlights from the famed convention. First up is my current favorite company when it comes to action figures. Diamond Select Toys revealed a big display chock-full of monster goodness. 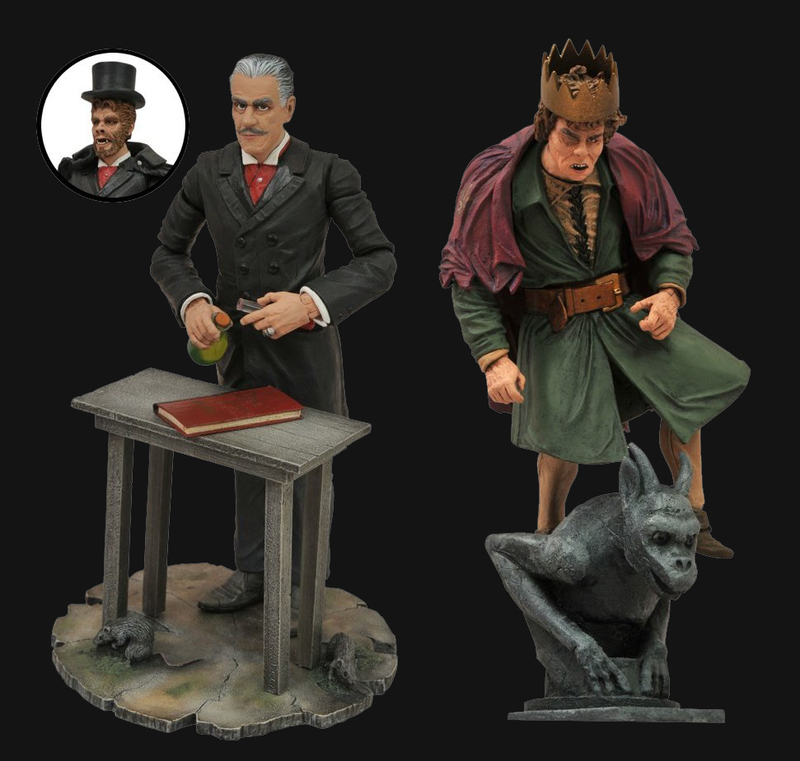 The DST Universal Monsters wave continues with two new lines. The first (series 4) hits this October with Mr. Hyde and Quasimoto. 2014 will see the release of the fifth series containing the Creature featuring a brand new sculpt, The Monster from Son of Frankenstein, and an original concept Van Helsing figure! If all that wasn't enough this October fans will be have the opportunity to purchase two brand new banks sporting the likeness of The Bride and The Wolf Man. Credit goes to Figures.com for the photos. ...And that folks, is just the tip of the iceberg. My favorite Line to come out during this micro-obsession was Mighty Max. Over the weekend I managed to stop at a garage sale that was chock-full of the tiny playsets. 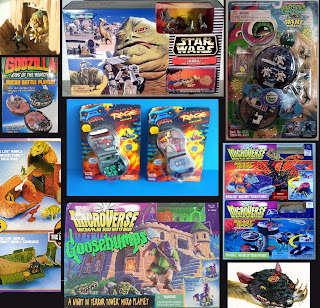 I was ecstatic and bought most of what was offered...On the way home through my excitement I begin to think about the 'what-if's' of the toyline. For example; What if Mattel was able to strike up a deal with Universal Studios? Think about it, Mighty Max taking on a veritable army of famous monsters. How cool would that be!? 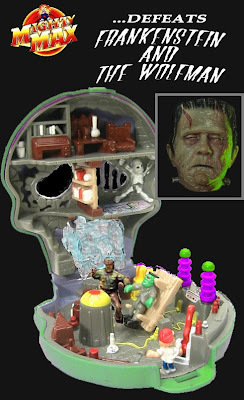 Well kids you can take off your thinkin' caps because I've went to the trouble of mish-mashing the famed toy line with not just some of the Universal Monsters, but a few other famous horror icons. 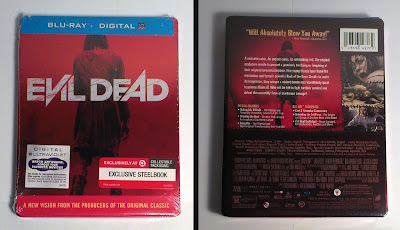 It seems like only yesterday I was eagerly waiting in line for a sneak preview of the Evil Dead reboot (review here.) 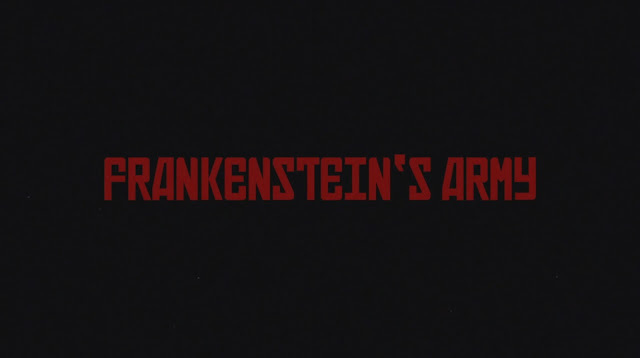 Rumors of cameos, buckets of blood, and a few prior positive reviews made for a much anticipated horror film. While I didn't think it was the best film I had seen all year I certainly enjoyed myself. 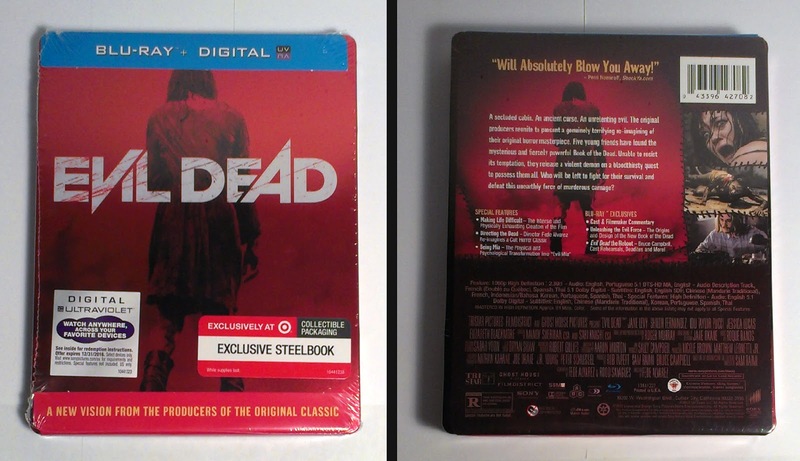 When news broke of Target's upcoming limited edition I knew I'd be one steelbook richer come July 16th. Target didn't have the only exclusive however, Best Buy's release boasts a limited bonus disc full of exclusive content. So what version is best? I guess that just depends on one's preference. Personally, I'm a steelbook junkie and this morning I found myself walking through the automatic doors of the big red store. In comparison to Best Buy's, I do think the Target version is superior. Not only is it an extremely nice looking package it also has the better price of the two. Still having a tough time deciding? Feel free to check out some of the pictures I snapped this morning. After the death of his estranged mother Leon (Aaron Poole) returns home to collect on his inheritance. Once he arrives at his childhood home he begins to suspect that his mother might have been part of a very strange religious cult. Her house has become a shrine filled with strange and occasionally macabre religious artifacts. As he begins to further investigate the household very weird things happen that have an impact on the man's psyche. Various videos, magazines, and cassette tapes do not help in his quest to figure out the last few days of his mother's life. In the early 70's director Mario Bava would begin production on a thrilling heist film involving three would-be criminals and a few hostages unlucky enough to fall into their paths. The film was almost complete when one of the main investors died tragically in a car accident bankrupting the shoot and stopping the film right in it's tracks. The film was considered by many to be lost, however decades later the production was finished posthumously by the director's son Lamberto and producer Alfredo Leone. Rabid Dogs AKA Kidnapped was finally released in 1997, a whole seventeen years after the auteur's demise. 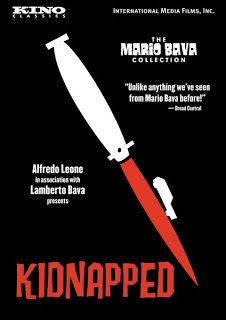 Mario Bava is often referred to as the maestro of the macabre, a master of suspense. All it takes is a quick viewing of one of Black Sabbath's three stories to see that's not too far from the truth. Prior to his successful directing career Bava was renowned in Italy as a cinematographer. He dabbled with shorts here and there and during an incident with the 1956 film Lust of the Vampire he would step in and replace director Riccardo Freda to finish the film. 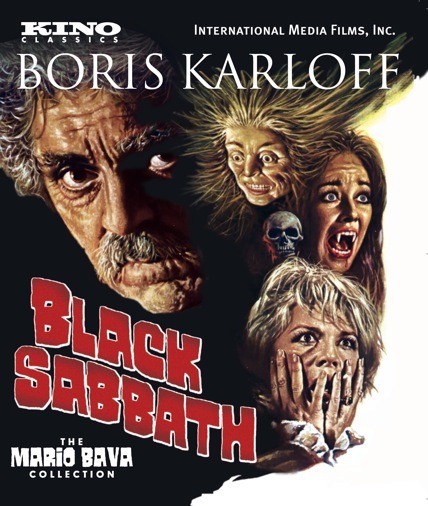 In 1960 Mario Bava inked a deal with American International Pictures and would go on to create Black Sunday. The film was met with great success and was reportedly AIP's top grossing film during that period. 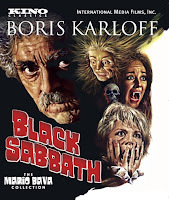 Years later AIP and Bava would find success again with Black Sabbath, a film that many fans consider one of the director's best. This evening I had the pleasure of seeing Guillermo Del Toro's newest creation. I've pretty much loved everything the man's done, and while I wasn't completely sold on the prospect of the film I was still really looking forward to seeing it. I'm happy to report that it surpassed any expectations I had set forth. While I'm pretty darn tired (to the point of utter incompetence) I couldn't help but log on here and share a few random thoughts on the film. When we pre-ordered the tickets I was kind of stunned. I guess it's been awhile since I made the venture to Oklahoma's biggest Imax, but I wasn't expecting to pay $16 bucks. I've been spoiled by Tinsel Town's $4.25 matinee. I know I shouldn't complain as living in the South West mean's we're one of the last places to generally see price hikes, but geez. Factor in a drink and you're dishing out an Andrew Jackson. I promise you I'm not going on some ticket pricing tirade, point being when it was all said and done and the credits were rolling down the screen I realized that I would have happily paid more then 20 big ones for that experience. The film was damn good. Yes it's a CGI laden big budgeted summer blockbuster, possibly one of the biggest the director will ever tackle. But more importantly it is a Del Toro film through and through. From the monster designs to the zany characters, the director's fingerprints are all over the place. I was drawn in from the second the movie started and when it was over I left wanting more. Del Toro isn't one to shy away from having a man in a rubber suit, Hellboy 2 had a ton of that (Troll market anyone?) This didn't though, It would have been nice to see some of these creatures done practically, especially given the obvious inspirations for the film. Sadly I don't think that would have ever been in the cards given the overall scale of things. So I guess that's my only real nag...For what it's worth the CGI was pretty good, seeing a robot and a gigantic hammer head-cthulhu rolling around destroying a city destroying everything in their path was a great. When I think of the quintessential man-in-a-suit monster I always think back to the Creature From the Black Lagoon. 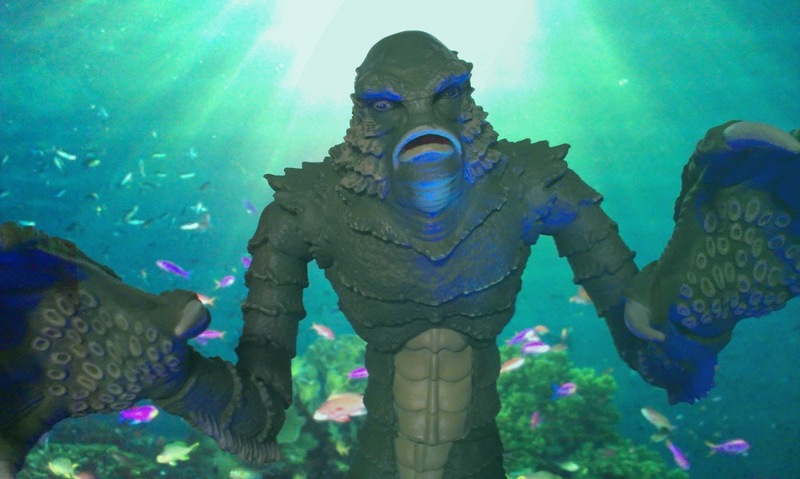 Over the years the gillman has had dozens of plastic incarnations from 12 inch dolls to Burger King premiums, though unlike Dracula and Frankenstein there are no actor's likeness rights tied to the character so fans of the monster have always been lucky to get accurate figures. 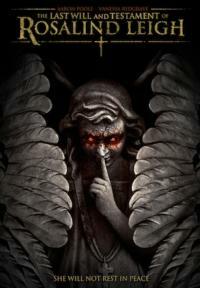 The first in this series was released last year just in time for the Halloween season. Frankenstein was met with a lot of positivity and with good reason, it was a great looking toy. Now seven months into 2013 the second figure from the line is making it's way into specialty stores around the nation. 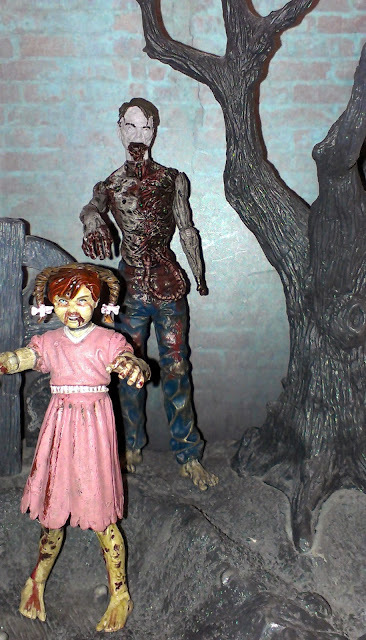 McFarlane Toys has really amped things up with their The Walking Dead lines. When comparing the last few lines to the initial series the improvement is vast. There were a lot of problems with the original series of Comic inspired 'Dead toys, everything from sloppy paint to clunky action features. With this new series all of those issues have been fixed along serious a improvement in the sculpting department. 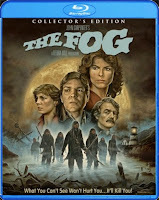 John Carpenter's classic film about a town haunted by a mysterious fog has officially been given the Scream Factory treatment! In 1980 director John Carpenter signed a two picture deal with AVCO-Embassy. 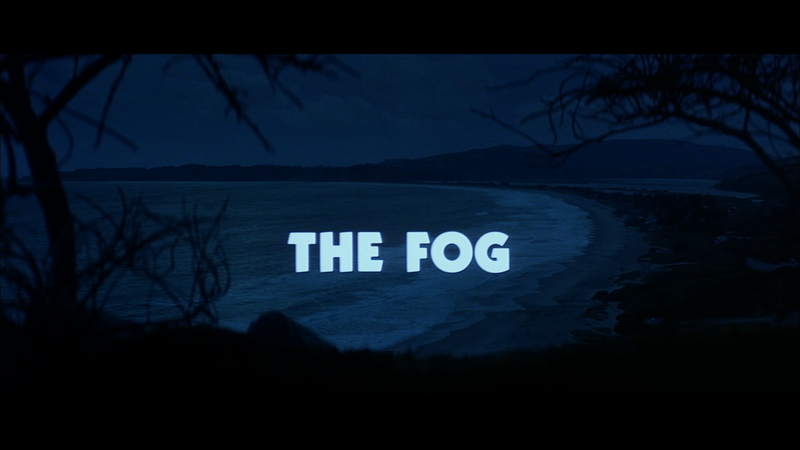 The first film in this venture, The Fog, marked his return to horror after the extremely successful Halloween. The film is about the small town of Antonio Bay and a mysterious fog that rolls through at midnight on April 21st. The Fog disrupts everything causing glass to shatter, alarm systems to sound off, and at the town's local church a few bricks are displaced. During the chaos Father Malone (Hal Holbrook) happens to find his Grandfather's journal hidden behind the now crumbling bricks. There's likely a reason why the writings were hidden away...Possibly something to do with the town's despicable past. As a horror fan it's best to familiarize yourself with XT Video as they tend to put out some of the coolest sets imaginable. 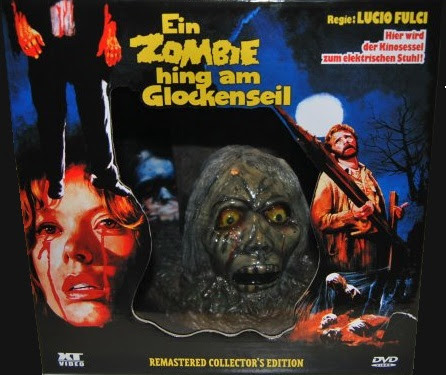 This release in particular features a statue inspired by the film's Paura Nella Citta' Del Morti Viventi poster. Inside the box is a wrap around cardboard display for the statue along with a hardbox and a booklet. The set is limited to 500 and can still be found fairly easily. 2010 was a great year for the con, it's crazy to think how much TFW has grown over the years. This was definitely the biggest show they'd held so far and there were so many awesome guests. I met Romero for the third time, Danielle Harris was super nice, and to top things off I had a very strange conversation with Terry Alexander. All in all it was a pretty nice trip, though driving back to Oklahoma with a hangover was no bueno. You'd be hard-pressed to find many horror fans who do not praise the old Universal films, and there's a good reason for that; while not just iconic and timeless, for a lot us they were our first experience with the genre. These famous films were the first ones we grew familiar with, before our parents were comfortable with their children viewing the Friday the 13th's or the Halloween's. Today we're going to take a look at the various home video releases of these films. Universal has always put a lot of thought and care into their releases throughout the years. I guess we should start with the humble beginnings, while these films would see various VHS releases, I think a lot of people would be most familiar with these. This series kicked off in 1991, it would last a few years and would see the release of more than 30 classic films.